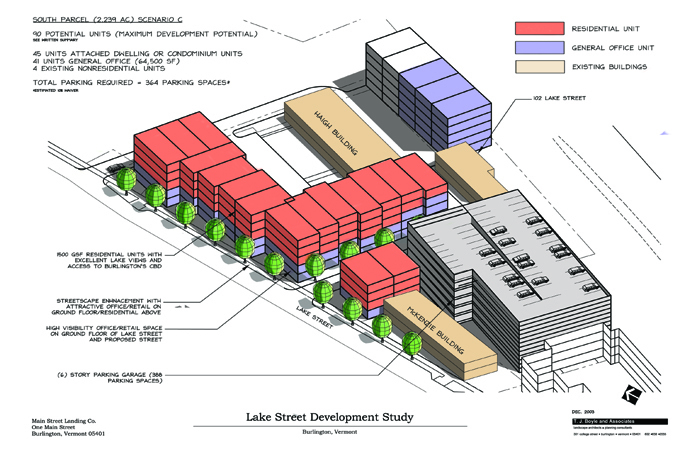 T.J. Boyle Associates provided conceptual design, planning, and visualization services for the Lake Street Development Study in order to evaluate the development potential for two parcels on the Burlington Waterfront, resulting in an economic feasibility report. 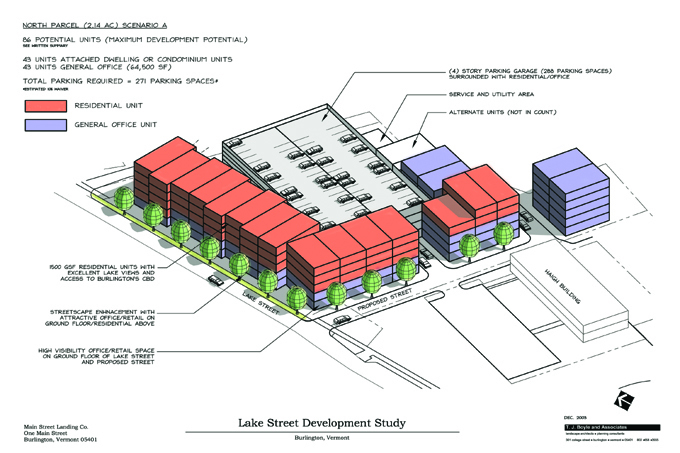 The site, a former industrial location adjacent to Burlington's Waterfront Park, was an area of revitalization efforts in the waterfront district. Three dimensional representations were created in order to represent the results of the study, including site capacity as well as potential layouts for the parcels.